Kīnaki can be translated as tasty morsel. In the context of this exhibition, it is used to indicate the specially selected taonga, which give a flavour of nineteenth-century correspondence and concerns. Hearing the letters spoken aloud in the library gallery gives an added level of intimacy to these written conversations and reanimates the taonga. Recordings of each of these letters feature not only in the exhibition but on SoundCloud. Also available through Soundcloud is an interview with curator Robert Eruera, Pou Kōkiri - Taonga Tuku Iho Māori, in which he shares the background behind the selection of the letters and curation of the exhibition. The letters span the 1840s to 1890s and focus on the personal and political, intimate and formal, sometimes all within the same letter. 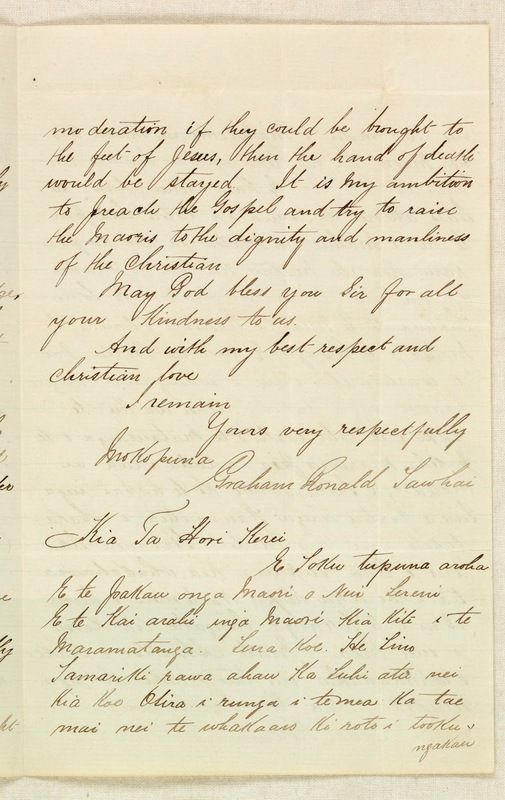 Likewise, the tone of address used by the writers varies, ranging from “Friend, the Governor” (GNZMA 330) to the elevated "My dear grandfather, Protector of the Maori people of NZ, Leader of Maori towards enlightenment" (GNZMA 141). 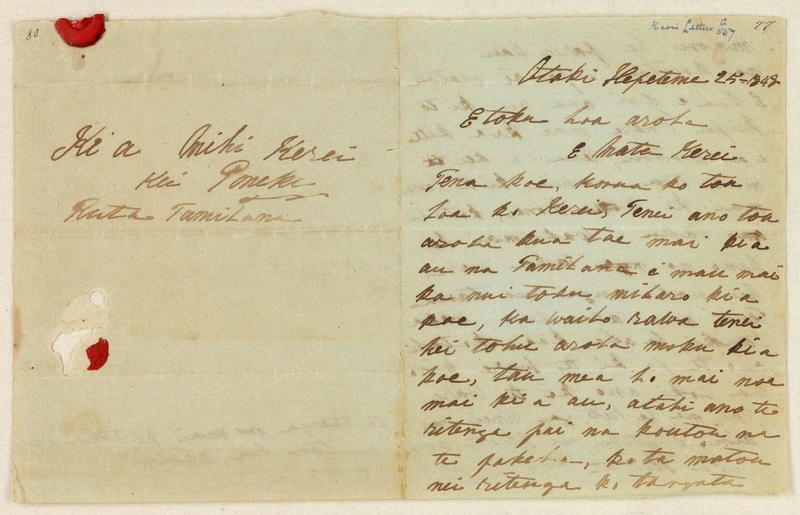 Also included in the letters are waiata (songs) (GNZMA 141) and whakataukī (proverbs), such as 'Never mind one night in a bad house when you can return to a good house' (GNZMA 557) penned by Ruta Te Rauparaha to Eliza Grey, Sir George Grey's wife. 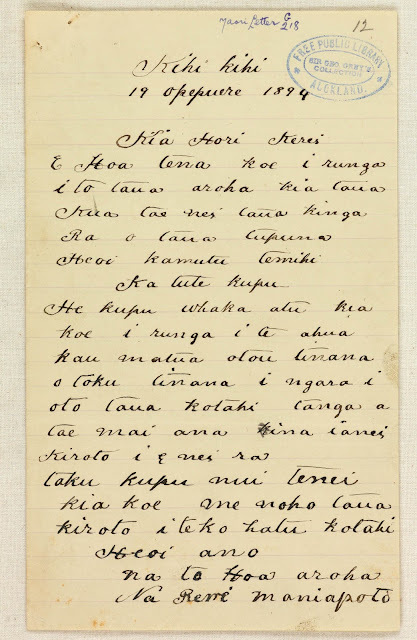 The most dramatic closing line of the letters is by Rewi Maniapoto to Grey in 1894, when both men were close to the end of their lives. He writes 'even until this very day my most earnest request is that your name and mine be recorded on the same memorial stone' (GNZMA 218). A drawing of the proposed memorial accompanies this letter and is on display in the exhibition and shown below. 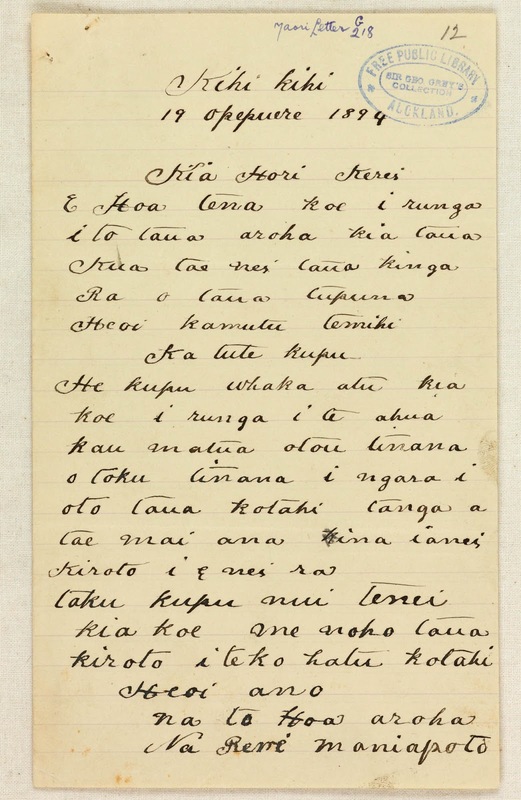 The exhibition is a showcase for just six of the many hundreds of letters in the Ngā reta Māori / Grey New Zealand Māori Letters series, which thanks to digitisation is now available and searchable via the library’s new online platform Kura Heritage Collections Online. If you are feeling inspired by this exhibition and would like to try your hand at using pens and ink, calligraphy and creative writing, the library is holding free workshops with Drs Helen Sword (31 March) and Alistair Kwan (16 March) from the University of Auckland, and the New Zealand Calligraphers. There are also free gallery talks with Rob Eruera and Rob Eruera in conversation with Dr Jane McRae (16 March and 11 May respectively). 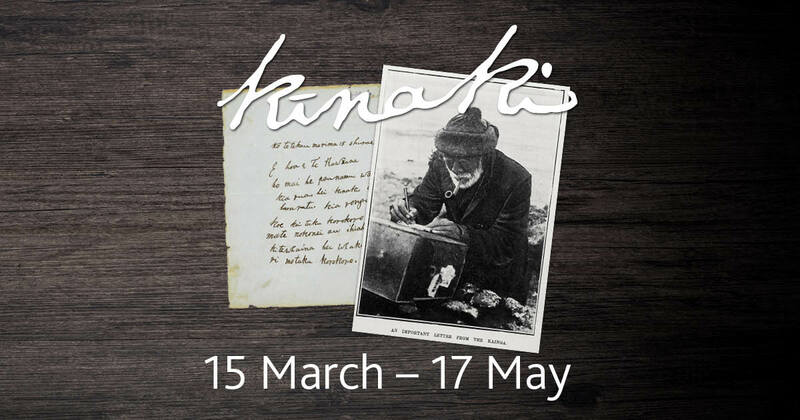 You can also find out more about the topics raised in the exhibition by having a look at the specially created book lists, Letters of New Zealand and The art of writing, and Overdrive eBook list. The six letter writers are a mix of well-known and less-known Māori from prestigious families. They include Tāwhiao Tūkaroto Matutaera Pōtatau Te Wherowhero, Ruta Tāmihana Te Rauparaha, Wīremu Toetoe, Hēnare Mātene Te Whiwhi, Kereama Tāwhai and Rewi Maniapoto. In the following section, the achievements and highlights from each person’s life are described, alongside their portraits and pages from their handwritten letters. Unknown photographer. Mounted photograph of Tāwhiao Tūkaroto Matutaera Pōtatau Te Wherowhero. 1870-1894. (258-1). Tūkaroto was the son of the first Māori King Pōtatau Te Wherowhero and Whakaawi. He was raised to be a spiritual and political leader for his people. 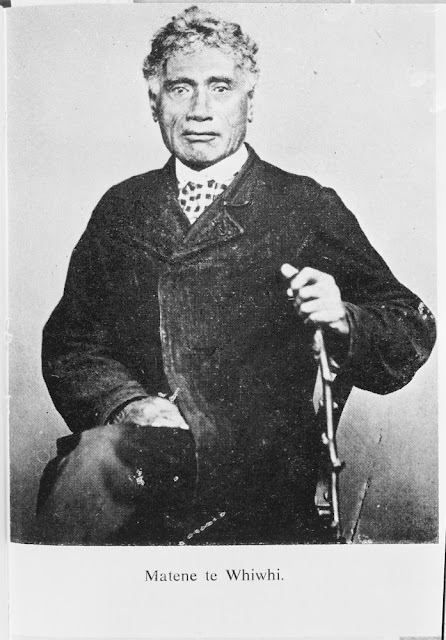 Born near the end of the musket wars between Ngā Puhi and Waikato, the name Tūkaroto was given to him to commemorate his father’s stance at Mātakitaki Pā in 1822. He was also baptised Matutaera (Methuselah) and subsequently the name Tāwhiao was bestowed upon him by Te Ua Haumēne, the Pai Mārire prophet. He was equally knowledgeable in Christianity and the ancient rites of the Tainui people and during his later years, his words were viewed and repeated as prophecies for the future. After the death of his father in 1860, he became the second Māori King and leader of the Kīngitanga (King) movement. He held this position for 34 years during the most volatile era of Māori–Pākehā relations. Tāwhiao Tūkaroto Matutaera Pōtatau Te Wherowhero. 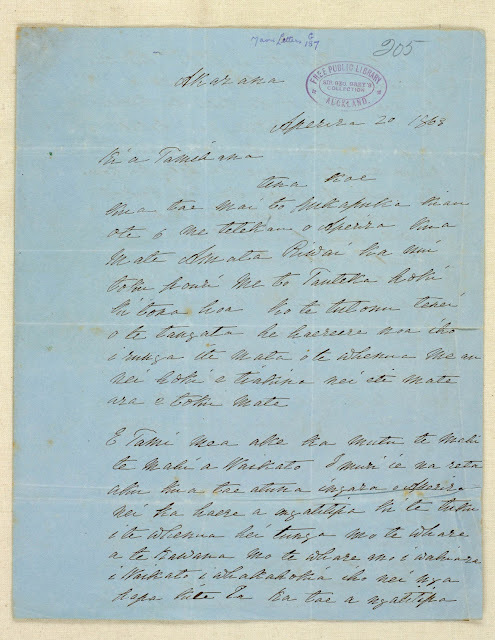 Letter to the Governor [Grey] written at Māngere, 15 July 1850. (GNZMA 330). W.H. Davis. Detail of cabinet card portrait of Ruta Tāmihana Te Ruaparaha. c.1860s, (7-A11486). From: Tāmihana Te Rauparaha. Waiata tangi [laments] and a biography of Te Rauparaha. 1852. (GNZMMS 27). Ruta was the daughter of Tāwhiri of Ngāti Raukawa. She married Tāmihana Te Rauparaha of Ngāti Toa in 1843. Throughout their marriage, Ruta and her husband actively promoted Christianity to Māori alongside the missionary Octavius Hadfield. 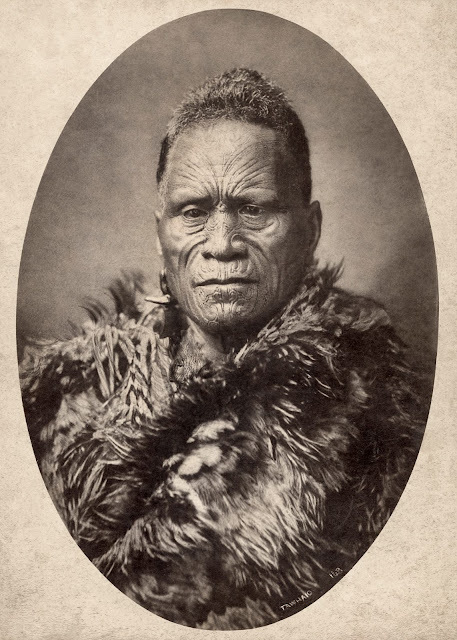 During the 1850’s Tamihana was also a strong supporter of the Kīngitanga movement. As farmers and landowners, Tāmihana and Ruta had considerable wealth and lived at Ōtaki in a European style house complete with servants. Ruta was known for her kindness, hospitality and fashionable clothing. 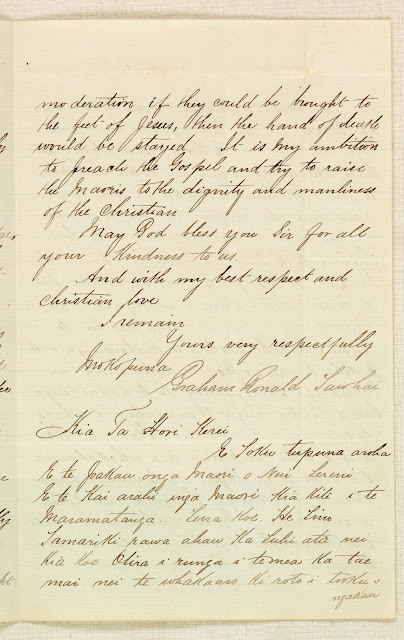 The love Ruta and Tāmihana felt for each other is documented in their letters and remarked upon by others. Ruta Tāmihana Te Rauparaha. 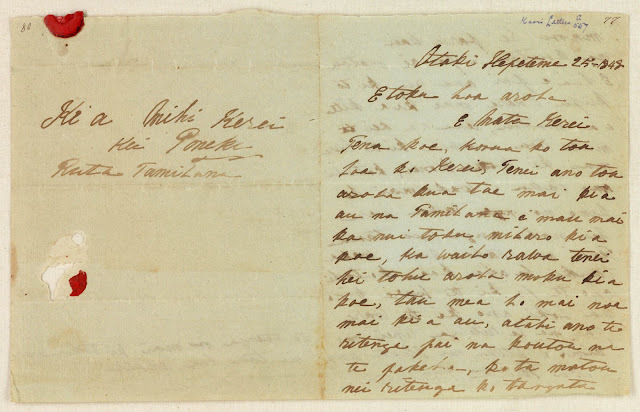 Letter to Mother [Lady Eliza Lucy] Grey at Wellington, written at Otaki, 25 September 1848. (GNZMA 557). Illustration of Wīremu Totoetoe from: [author not specified on catalogue]. Reise der oesterreichischen Fregatte Novaraum die Erde, in den Jahren 1857, 1858, 1859 .... [location not specified on catalogue]: Aus der Kaiserlich-Koniglichen Hof- und Staatsdruckerei, in Commission bei Karl Gerold's Sohn, vol.3, 1862, opposite p.110. Wīremu was from Rangiaowhia in the Waikato and was educated by missionaries. He married at the age of 20 and was employed in the postal service for the colonial government. In 1859 he travelled overseas with his whanaunga (relative) Te Hēmara Rerehau Parāone aboard the Novara, an Austrian scientific frigate. They travelled through Europe, learnt the art of printing and socialised with the European upper class. They returned to New Zealand with a printing press and type gifted to them by the Emperor of Austria. The press was used in 1862 to print the newspaper Te Hokioi o Niu Tireni e Rere atu na or The Soaring War Bird. Its purpose was to publish Māori opinion, especially regarding the Kīngitanga movement. Although the publication ceased with the outbreak of the Land Wars in 1863, it is important because it was the first Māori language newspaper owned and printed by Māori. Accordingly, it has been digitised and is available through Papers Past. Wireumu Toetoe. 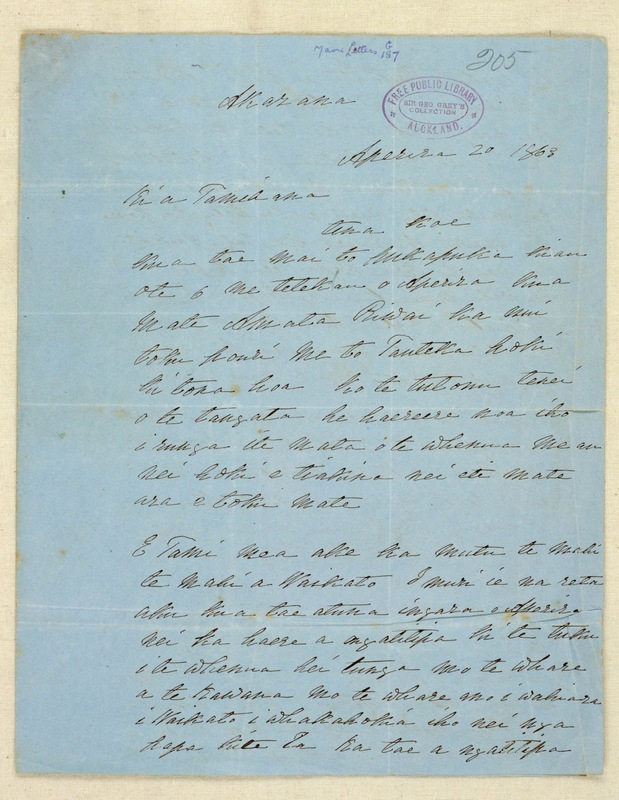 Letter to [Sir George Grey], written at Vienna, Austria, 8 May 1860. (GNZMA 120). Mātene was the son of Rangikapiki and Rangi Topeora. His younger years were shaped by a migration led by Te Rauparaha, which saw his people leave their homelands in Kāwhia in search of a safer and prosperous life in the south of the North Island. 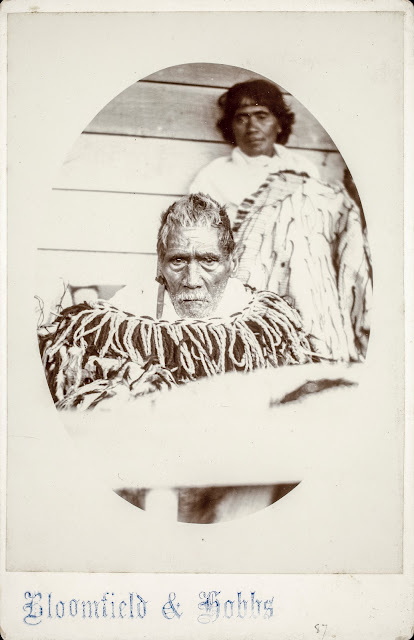 Mātene married Pipi Te Ihurape in 1843. They were part of a group of young rangatira (esteemed people of noble rank), which included Ruta and Tāmihana Te Rauparaha in Ōtaki. The group embraced many of the European ways of living including religion, housing, food and dress. 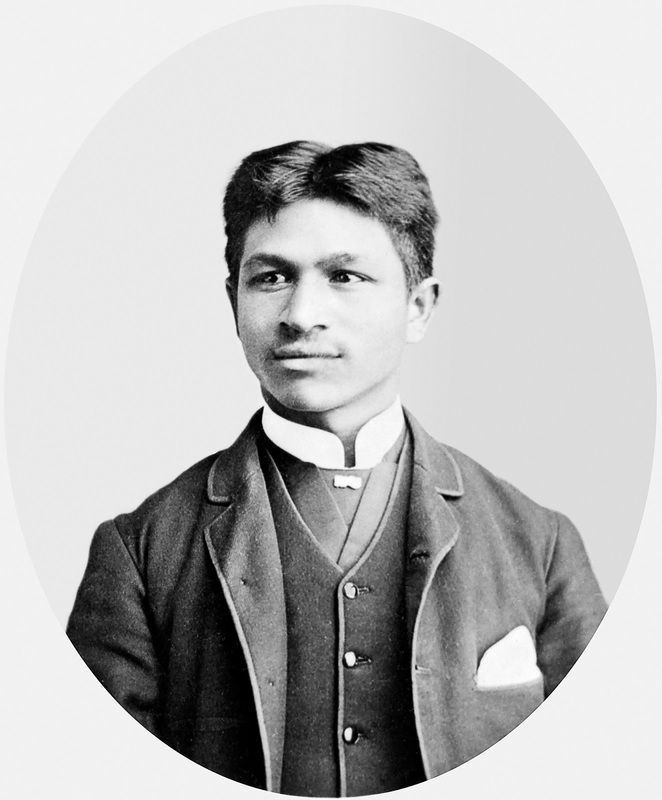 As a young man, Mātene worked with Tāmihana Te Rauparaha to bring the Christian faith to Māori. He became a missionary and helped establish the Kingītanga but later withdrew his support during the Land Wars in the Waikato in 1863. Hēnare Mātene Te Whiwhi. 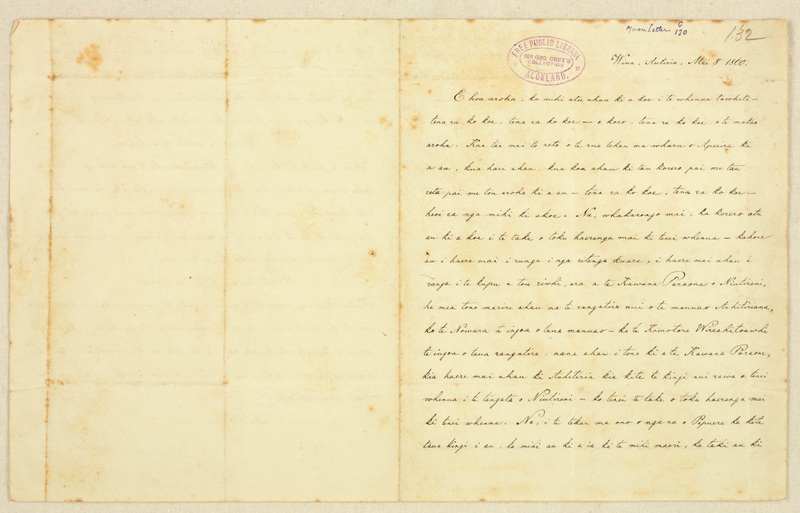 Letter to Tamihana [Te Rauparaha], written at Auckland, 20 April 1863. (GNZMA 187). William James Harding. 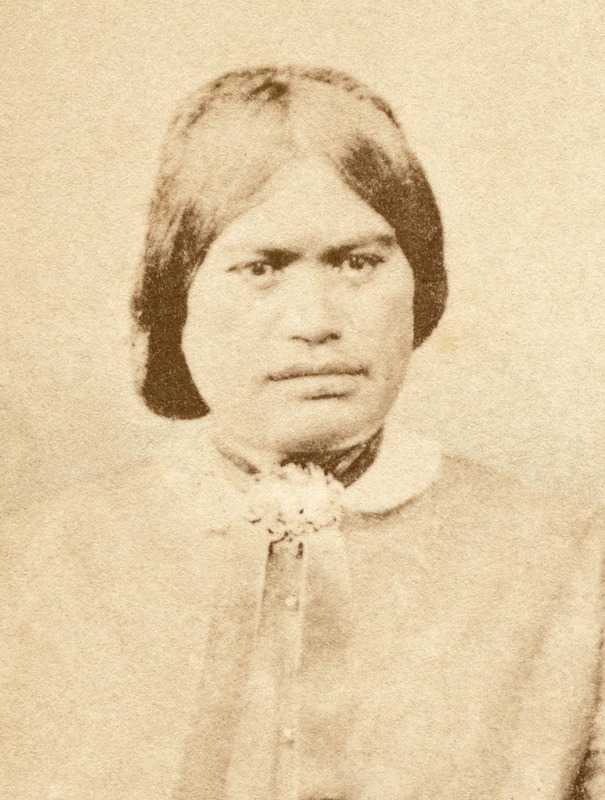 Carte de visite portrait of Kereama Tāwhai. c.1880. Alexander Turnbull Library, Wellington, New Zealand, W J Harding Collection. (G-17133-1/4). Kereama was raised to lead and serve his people. His parents, Hōne Mohi Tāwhai and Mākere Maraea, sent him away from the Hokianga to get a European education in Auckland. He attended the Three Kings Wesleyan Native Institution and then went to Auckland College and Grammar School. He excelled academically in all areas of school life, including sports and music. Kereama was devoted to the church and a dedicated follower of the temperance movement. As a Blue Ribbon supporter, he encouraged Māori to sign the pledge and abstain from alcohol. 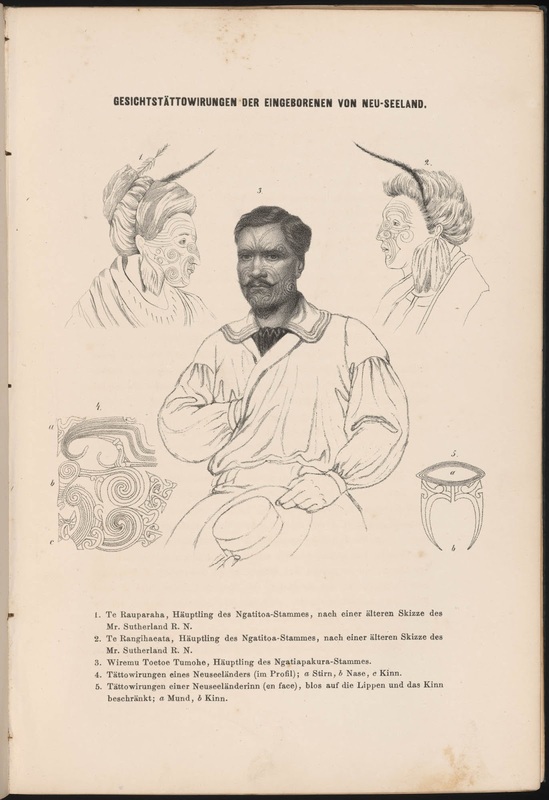 He was also the secretary for Te Korimako or The Bellbird, a Māori language newspaper that ran from 1882 to 1890 and is also available through Papers Past. His father encouraged him to study law so that he could help Māori deal with investigations into land rights and ownership through the Native Land Courts. His legal training was undertaken with the Auckland law firm Whitaker and Russell. Referred to by his people as a taitama rangatira nō Ngā Puhi, a young male leader of nobility from the north, Kereama sadly died of consumption at the age of 21 before completing his studies. Kereama Tāwhai. Letter to Sir George Grey, written at Wesley College, Auckland, 18 June 1880. (GNZMA 141). Rewi was the son of Te Ngohi and Te Kore and from the Kihikihi and Otāwhao area. Taught to read and write at the Wesleyan mission station at Te Kopua, he was known for his oratory skills, strong leadership, military prowess and knowledge of traditional Māori customs and practices. Rewi was a strong supporter of the Kīngitanga. During 1860-1861, his people had fought alongside Taranaki Māori and he went on to have a leading role in the Land Wars in the Waikato. For several years Tāwhiao and his followers, including Rewi, took refuge in Ngāti Maniapoto territory. Rewi played a key role in establishing and expanding the Rohe Pōtae. This term roughly translates as ‘the area of the hat’ and was commonly used to refer to the King Country land. In 1882 Rewi negotiated with the Crown and this led to land sales that contravened the Kīngitanga principle of land retention. However, Rewi remained a revered figure by both Māori and European, as evidenced by the large number of attendees at his funeral in 1894. Rewi Maniapoto. 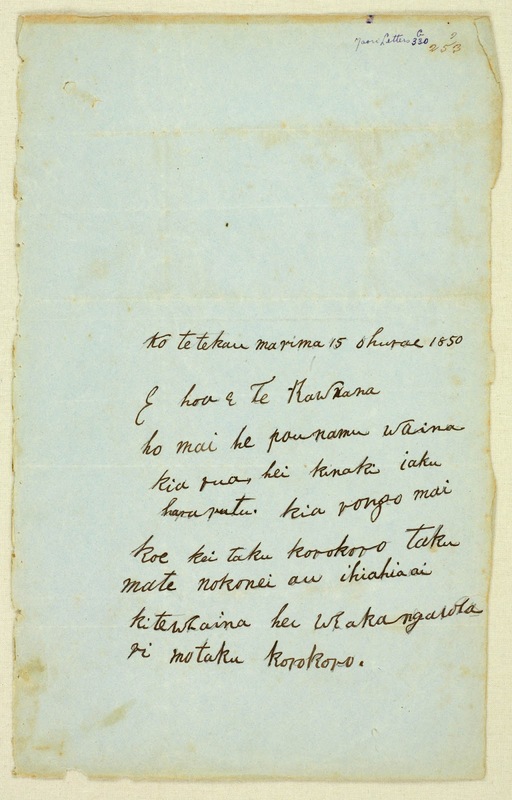 Letter to Sir George Grey, written at Kihikihi, 19 February 1894. (GNZMA 218). Rewi Maniapoto. 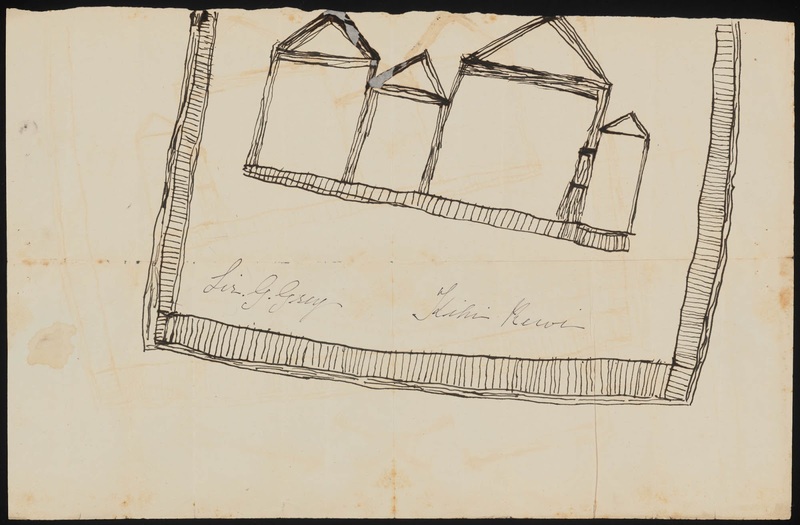 Showing the sketch of the tombstone from: Letter to Sir George Grey, written at Kihikihi, 19 February 1894. (GNZMA 218). Eloquent words are a treasure to hear.